2) Largest viewing area in its class. 4) Wide range of variable shade adjustment. 5) Lightweight and durable composite material. 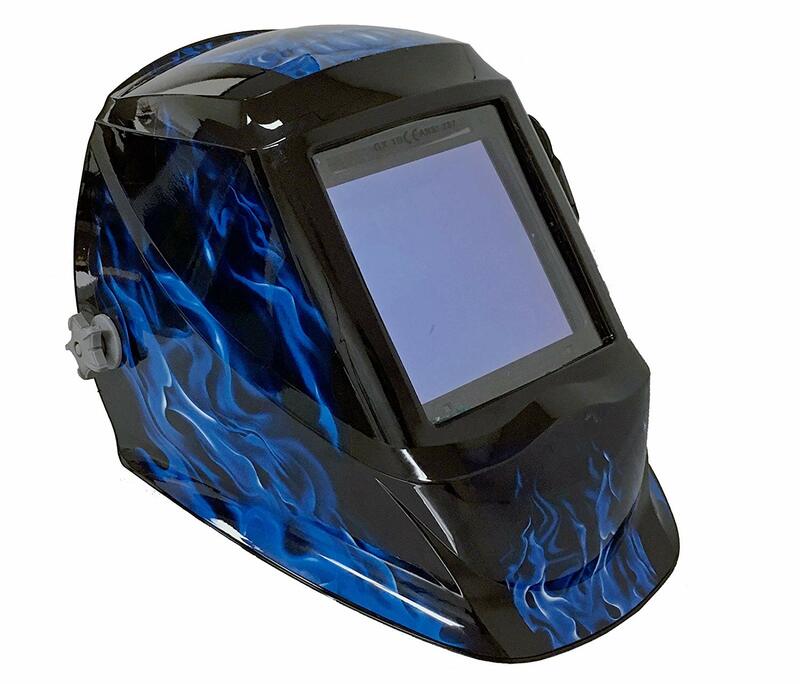 6) Suitable for many welding applications. So, in a nutshell, it's a great hood. I like the idea that the controls are on the outside of the helmet. It has a nice grind mode. I don't have to keep taking it off to change things. It has a very responsive sensitivity and a large viewing area. Probably one of the best of all the helmets in the price range with 4 sensors. However, what I don’t like about this helmet is that headgear is flimsy and often comes apart while I'm using it. And it won't lock in the up position without cranking down the friction knobs, to where I can't pull it down all the way. Forget about flipping it down with a simple head-nod.